Although I have a love for bags, I have become extremely selective over the years about what bags will make it into my collection. I just do not have the room and do not want to spend the money on a bag I will not be using for at least 6 months. That is why the custom handbags offered by 1154 LILL are a wonderful concept. With these bags you no longer have to struggle with the dilemma of loving the bag shape, but not the color (and Vice versa). If you are local, then you may have seen or visited their boutique on Newbury Street in Boston. 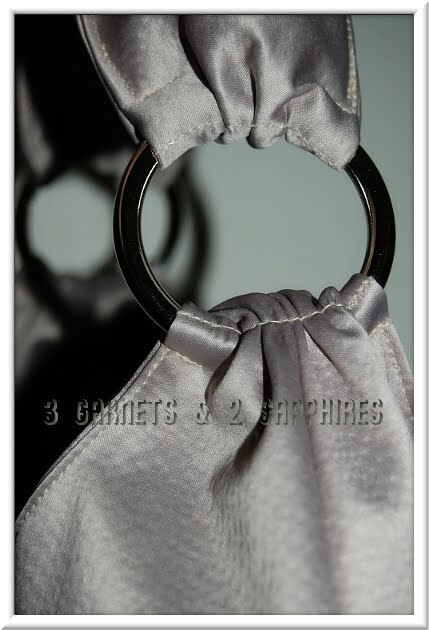 I have experienced ordering from a few smaller custom handbag businesses in the past. 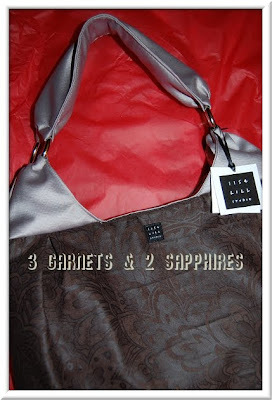 Most only offer the basic bags, such as a tote, a demi, a messenger, and a clutch or wristlet. The bags offered by 1154 LILL are leaps and bounds beyond that. 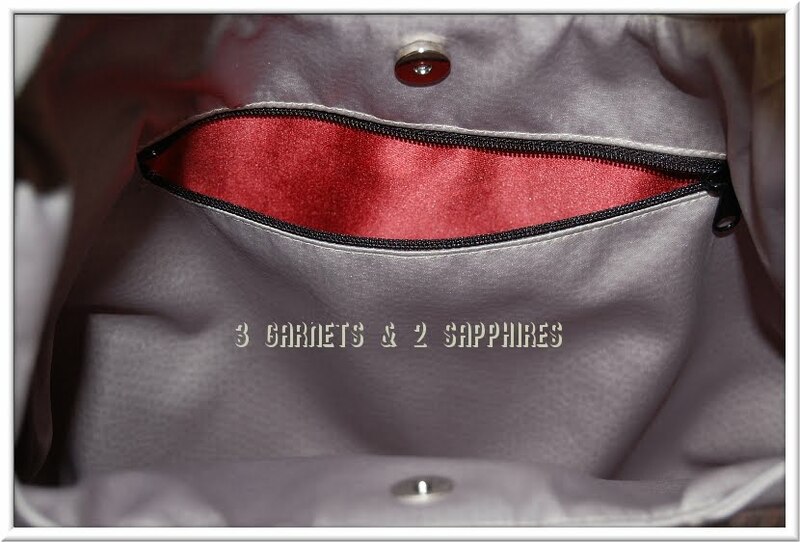 The bags are designed with both fashion and function in mind. All details are fashion-forward, including the bag shapes, hardware, handle designs, and fabric choices. I designed a Custom ANDI bag online. The software on the website was very intuitive and allowed me to try over 20 different combinations of fabric choices for the bag's exterior, strap, interior, and interior pocket lining before I settled on the one you see below. I knew I wanted something gray or silver. Some say it is the new black after all! I have to say that the preview of the bag on the website does not do the bag justice. I was completely floored when I received this bag. The custom made bags I have experienced have always been made of mostly cotton solids and prints. 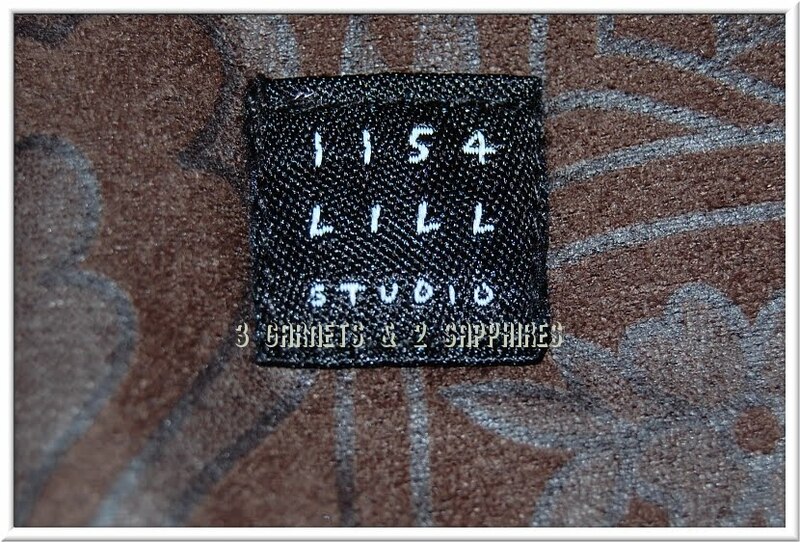 The upholstery-quality fabrics used by 1154 LILL add weight, texture, and elegance to the concept of the "custom bag" that I never knew existed. 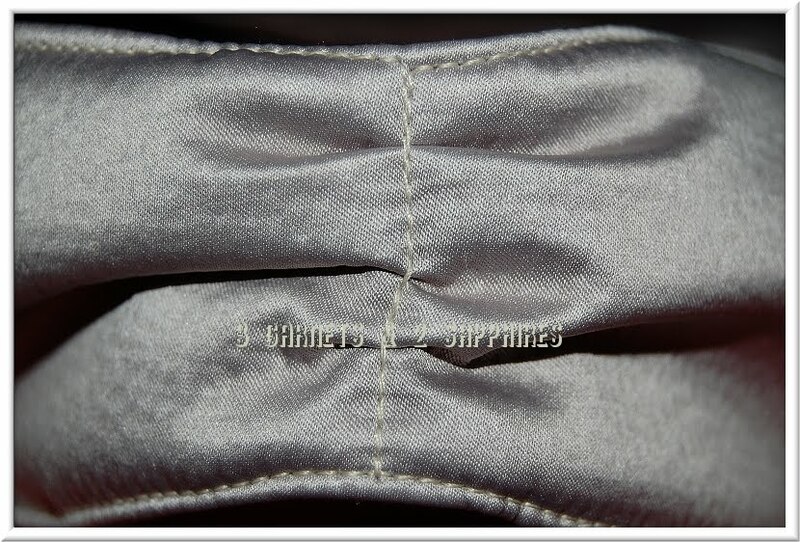 I have to say that I am extremely happy with my choice of fabric for the interior pocket lining. I know I am the only one who sees that little splash of color, but it makes me smile every time I do. One of my favorite details on the ANDI is the handle. The subtle ruching at the center of the strap and where it connects to the chrome hardware really gives this bag dimension, in addition to the two pleats on the body of the bag on each side. Before I used my bag, I purchased Scotchgard to treat the fabric both inside and out. I love this bag and would be so upset if it was ruined by the unpredictable New England weather or my equally unpredictable children. 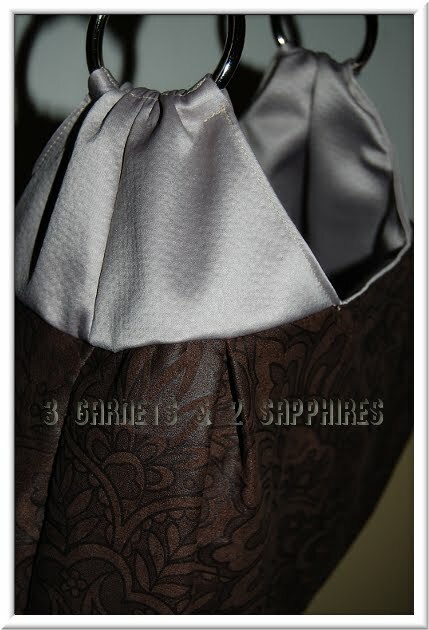 You need to know that if you are ordering a custom bag, it will take 3 to 4 weeks to create. 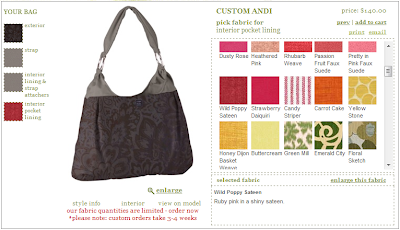 So if you are considering the ANDI or one of the other 34 styles of custom 1154 LILL bags as a gift, you may want to consider gifting a pre-designed bag, an 1154 LILL gift certificate, or a Design a Bag Kit, which is available for 10 different styles. During the colder (or hotter) months of the year when you like to plan your "girls night in" activities, you might consider hosting an in-home handbag party. If you are lucky enough to live in the Chicago or Boston area, then you can even schedule a party to be held in-store. To learn more about these custom designer handbags, custom handbag kits, or scheduling a handbag party, visit 1154LILL.com . Currently you can receive Free FedEx Ground Shipping on orders totalling $150 or more. Thank you to 1154 LILL for providing a complimentary product sample to base this review upon and for providing a second product for our contest prize. 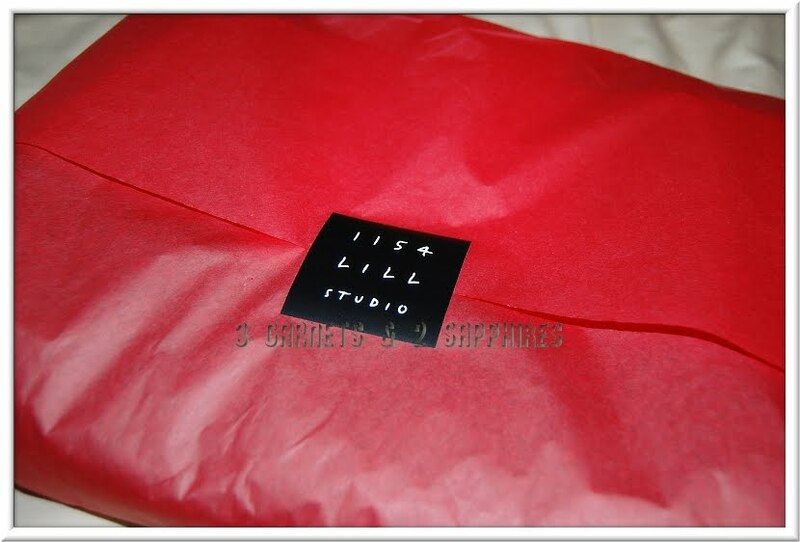 One lucky reader will receive an 1154 LILL Design a Bag Kit ANDI (ARV $154). 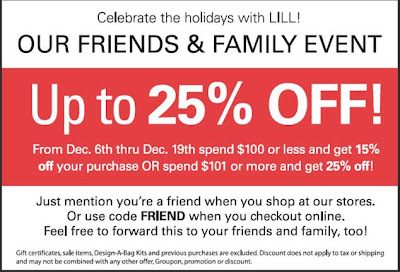 Browse the selection of Design Your Own Handbag styles offered by 1154 LILL. Then leave a comment telling me the name of the style you would like most to either own or give as a gift. You MUST do this to be eligible to win this contest. 3) For 10 extra entries, join the 1154 LILL e-list. Then come back here and leave TEN separate comments telling me you did. 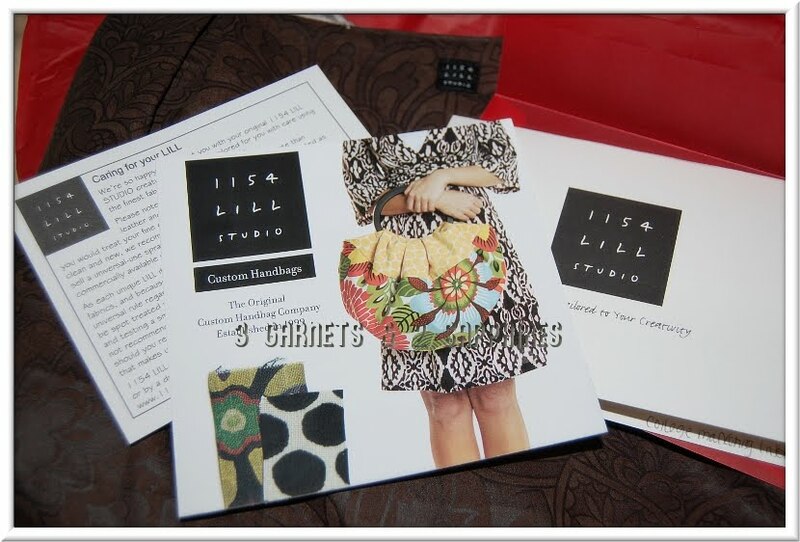 5) For 1 extra entry each, follow 1154 LILL Studio on Twitter and/or "Like" 1154 LILL Studio on Facebook. Then leave a separate comment for each with the link to your Twitter or Facebook profile.